Williams, J.R., Sim-Smith, C., Paterson, C. (2013). Review of factors affecting the abundance of toheroa Paphies ventricosa on Northland beaches (New Zealand Aquatic Environment and Biodiversity Report No. 114). Ministry of Fisheries, Wellington, New Zealand. Paul, L.J. (2012). A history of the Firth of Thames dredge fishery for mussels: use and abuse of a coastal resource (New Zealand Aquatic Environment and Biodiversity Report No. 94). Ministry of Fisheries, Wellington, New Zealand. Simon Thrush. (2019). Urgent action to save marine beds. Available at https://www.newsroom.co.nz/@future-learning/2019/01/16/400146/urgent-action-to-save-marine-beds. McLeod, I.M., Parsons, D.M., Morrison, M A., Le Port, A., Taylor, R B., (2012). Factors affecting the recovery of soft-sediment mussel reefs in the Firth of Thames, New Zealand. Marine and Freshwater Research, 63, 78–83. Riisgård, H. U., Funch, P., Larsen, P. (2014). The mussel filter–pump – present understanding, with a re-examination of gill preparations. Acta Zoologica. 96, 2. Ismail, N.S., Müller, C.E., Morgan, R.R., Luthy, R.G. (2014). Uptake of Contaminants of Emerging Concern by the Bivalves Anodonta californiensis and Corbicula fluminea. Environmental Science & Technology. 48(16), 9211-9219. Mcleod, P.B., Luoma, S.N., Luthy, R.G. (2008). Biodynamic modeling of PCB uptake by Macoma balthica and Corbicula fluminea from sediment amended with activated carbon. Environmental Science & Technology 42(2): 484-90. Andrew Jeffs. (2018, June 19). 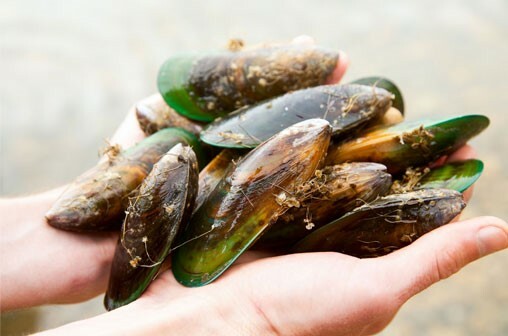 Restoring the Hauraki Gulf with mussels. (Katherine Ryan, interviewer). Available at https://www.radionz.co.nz/national/programmes/ninetonoon/audio/2018649916/restoring-the-hauraki-gulf-with-mussels. Capson, T.L., Guinotte, J. (2014). Future proofing New Zealand’s shellfish aquaculture: monitoring and adaptation to ocean acidification (New Zealand Aquatic Environment and Biodiversity Report No. 136). Ministry of Fisheries, Wellington, New Zealand. Welcome to the Environmental Science blog for the students of Victoria University of Wellington (VUW). The blogs posted here have been created by students doing an environmental science major, on a topic of their interest. Header photo: Lake Rotoiti, South Island, New Zealand. The area is one of our undergraduate week-long field trip sites. Credit: Dez Tessler. Environmental science is an undergraduate major in the Bachelor of Science at VUW. We also offer postgraduate degrees: Master of Environmental Science (180 points, completed in 1 calendar year), Master of Science (Environmental Science) (240 points, completed in 2 years, including a thesis), and PhD.